The annual SEMA Show kicked off Oct. 30 in Las Vegas, Nevada this year. 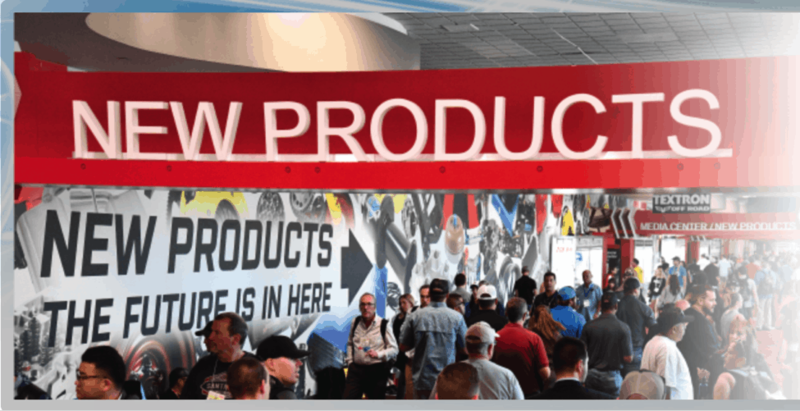 The new products showcase is the number one event destination for event goers – offering over 3,000 new and featured products. Attendees used scanners to create personalized lists of products with detailed descriptions and the contact information needed for follow-up. Here is one we were especially interested in! Adding to their family of center-clamp tire changer models, Hunter Engineering introduced the TC37 and TC39. The TC37 offers the traditional polymer mount head that protects the rim and tire and a vertical locking head that protects the wheel face. Both models feature a simple- to-use single pendant control, a bead press arm, two bead-loosening rollers with direct indention, and a powerful variable-speed drive as standard equipment. Options include a side shovel feature for quick and easy bead breaking on standard tires and a wheel lift that eases operator fatigue with large and heavy tires. If you’re in Delaware, Maryland, northern Virginia, the West Virginia Panhandle or Washington, D.C., contact Chesapeake Automotive Equipment to learn more about our top-of-the-line general shop and automotive equipment to commercial automotive-related businesses ranging from independent mom and pop auto collision and repair shops to heavy-duty repair facilities to auto dealership groups along the East Coast.